The holidays have many natural elements that add to the magic of the season. Snow, trees, garland greenery and pine cones are prevalent in decor at this time of year. 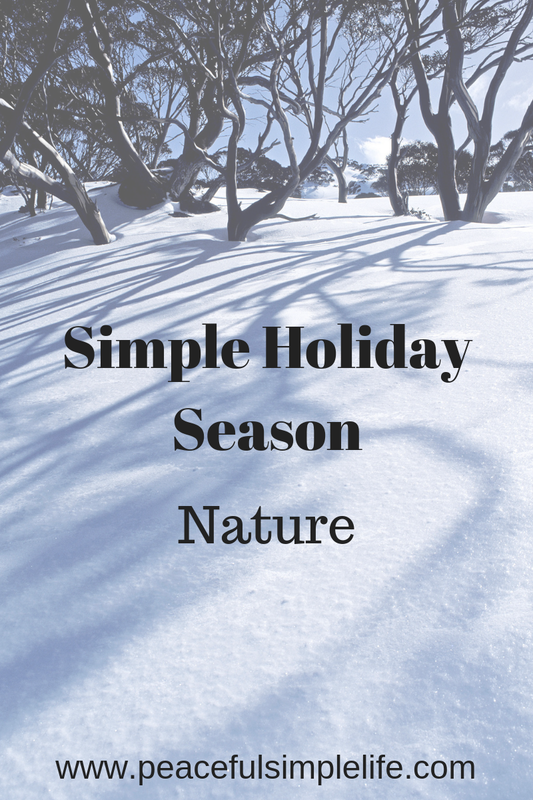 We are intimately tied to nature and that relationship plays out in many ways over the holiday season. I love to spend time in nature. It can make the fast-paced holiday season feel calm. Spending time in nature allows us to experience many different emotions. It can gift us with a moment to breathe and recollect our thoughts. It can bring us exhilaration and joy. Nature is a wonderful teacher, a terrific playground and a place of peace. This week I challenge you to spend a little time in nature. Even if you only enjoy a few moments outside; try to breathe in the calm, admire the beauty and maybe even have a little fun.